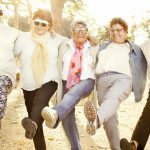 Recent research from Macquarie University has discovered that by receiving home care, Australian seniors can significantly reduce the chance that they will need to move into residential aged care. The researchers studied a total of 1,116 people aged 60 years and older who had commenced home care services for higher-level needs between July 1, 2015 and June 30, 2016. The study aimed to see if there was an association between the volume and type of services that people received and how quickly they were admitted into permanent residential aged care. It was discovered that for each hour of service received per week was associated with a six per cent lower risk of entry into residential care. 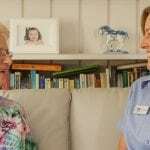 The reasoning goes, that if an elderly person is receiving just five hours a week of assistance at home, their chances of needing residential care drops by 30 per cent. This is good news, as staying at home is the preferred option for most Australians as we age. People who were using social support services for two hours per week on average alongside other home care services had delayed entry into residential care compared to those receiving mainly domestic assistance, personal care or in-home respite. Social support often includes companionship (a cup of tea at home or at a local cafe), transportation to an outing or to enjoy a hobby. 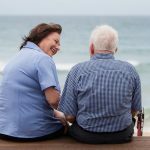 “This research provides evidence for consumers, care providers and policy makers about how home care services may be utilised to optimise outcomes,” said Doctor Mikaela Jorgensen, a Research Fellow at the Australian Institute of Health Innovation at Macquarie University to ‘Ageing Agenda Australia’. Older Australians who access a Home Care Package now have greater control over the type of care and services that they can access, since the Federal Government deregulated the aged care industry. Oxley Home Care gives you real choice to live the way you want to. Our Home Care services can help you live in the comfort of your own home and maintain your independence and quality of life. We ensure your Home Care Package is delivered exactly how you want it – you determine your care, how it’s delivered and who delivers it. For more information on the cost benefits of home care versus residential aged care, click here. Your Care Manager will ensure your Home Care Package is personalised to what you want. We directly employ and supervise all our fully experienced Care Workers, so you can be confident in the care you will receive. We pride ourselves on the continuity of care provided by our Care Workers. For further information and to book a free home consultation, please call us on 1300 993 591.